3D offers a fully three dimensional potential computation, direct ray tracing solution and space charge computation. 3D electrostatic and magnetic field simulation. 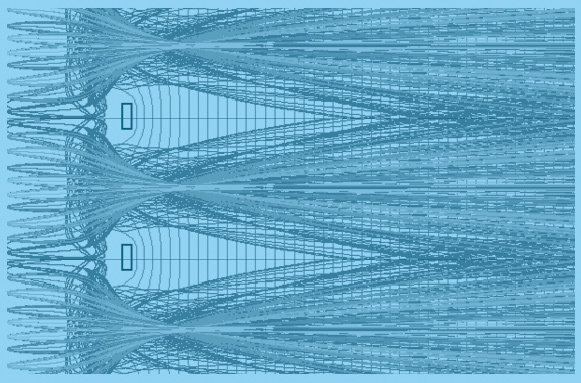 3D Field uses the finite difference method (FDM) to compute the potential distribution of the elements. The surfaces of the electrodes do not have to conform to the grid lines and thus, 3D objects of varied shape can be analysed without the need for the user to define a complicated mesh to fit around the objects. 3D Field is used by several MEBS packages for field computation. Direct ray-tracing using 3D finite difference method. 3D Ray-Tracing, which is available as an upgrade to 3D Field, calculates trajectories using the initial positions, energies and emission angles of each charged particle . 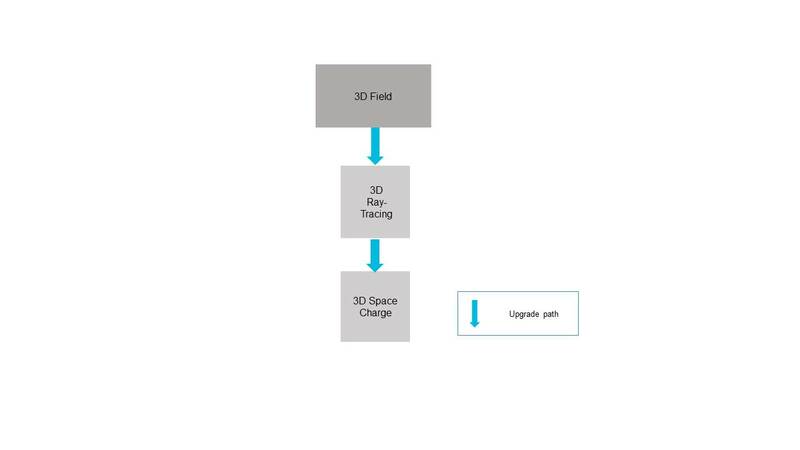 The 3D Space Charge software extends the functionality of 3D Field and 3D Ray-Tracing to take into account space charge effects.